It is natural for parents (including myself) to do what’s best for their kids. Different areas in Hong Kong offer different advantages. Here are my favourite three locations to live on Hong Kong Island and why parents with kids should consider living here. Living on Old Peak Road offers both kids and parents the fun of the Zoological and Botanical Gardens. 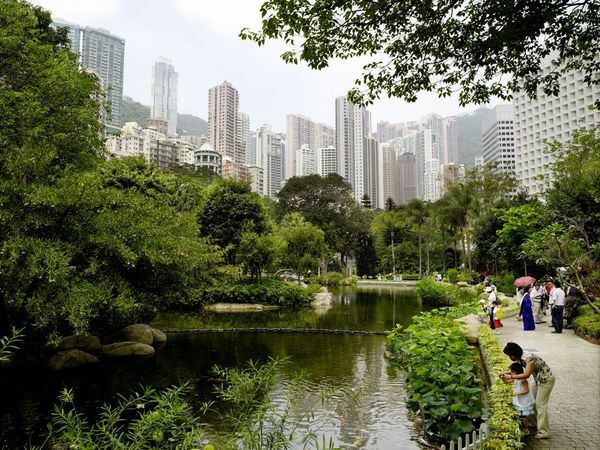 The ponds and aviary of Hong Kong Park are also close by. Parents can enjoy an quick commute to work as Central is just down the hill. Yes parents, that means more playtime with the kids! Once the kids are asleep, an easy stroll down the hill will land you in Lan Kwai Fong, where you can enjoy an ice cold beer or a glass of bubbly. options. If you like to cook, the Taste supermarket is one of the best supermarkets on the South Side. Pok Fu Lam is one of Hong Kong Island’s oldest residential neighbourhoods. Situated on the north west side of the island. Lots of expats have relocated themselves to this “Garden Neighbourhood”. If fresh air and sea-view apartments are what you are looking for, then look no further. Depending on where you choose to live within Pok Fu Lam, clubhouse facilities are just a lift ride away. Cyberport is also close by. Parents and kids can browse shops, grab a coffee, watch a blockbuster or enjoy a quick bite to eat.